Islamic fashion on the Rise! 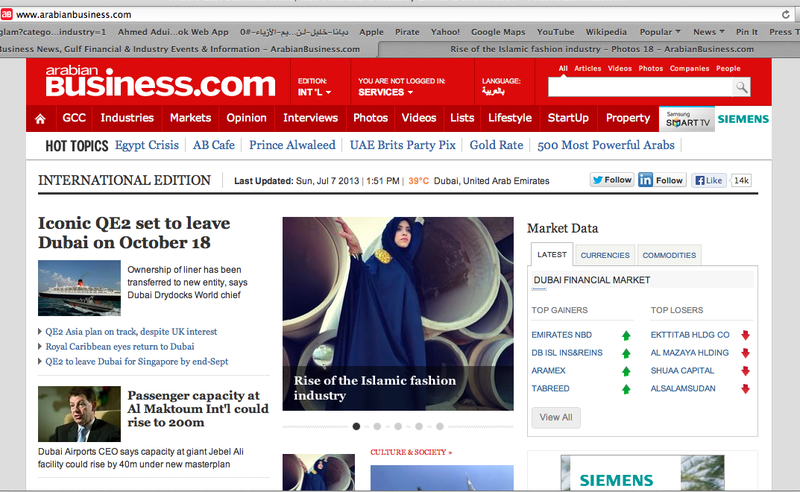 I’m so excited that Ahmed and I have been featured on the front page of ARABIANBUSINESS.COM! In our interview with the business magazine we discuss how Muslim women around the world don’t have a FASHION LABEL that caters specifically to them. That’s where our BRAND comes in. My dream is for ABAYA ADDICT to become a world renowned MODEST FASHION LABEL found in well-known stores across the world, making it easier for women to shop!